Miami Florida houses quite the gem when it comes to aquariums! 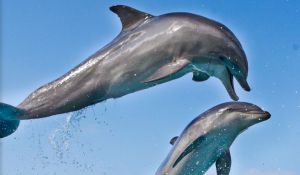 Miami Seaquarium is one of the best places to go to see and experience ocean wildlife! With a large number of shows, exhibits and animal encounters, your party will definitely have a blast at this attraction. First up, be sure to check out at least one or two of the four shows offered by Miami Seaquarium. From their top of the line dolphin show called Top Deck Dolphin, to enjoying Salty the Sea Lion and friends at the Golden Dome Sea Lion show, your friends, family and yourself will be entertained to the nines! The other two dynamite shows are Flipper Dolphin and Killer Whale and Dolphin - the latter of which draws in large crowds to watch majestic killer whales performing amazing tricks! If you're looking for an extra special day, try out an animal encounter! Available are hands-on interactive experiences with dolphins or seals. In each you will get to side-by-side these wonderful creatures, playing, hugging and receiving kisses! Or go all out and be a trainer for a day where you will learn how to train dolphins tricks - a once in a life time experience. If you're looking to take in a larger ocean feel, try the Reef Encounter where you get to experience tropical fish, sting rays and other unique sea creatures! Every option has something memorable and exciting to offer. Miami Seaquarium boasts a large number of exhibits including Crocodile Flats, a Stingray Exhibit, Shark Channel, Manatees, Seal and Sea Lion, and Discovery Bay among many others. A favorite is the Stingray Exhibit where you can dip your hands in to gentle feel a stingray and even feed them! A unique exhibit is that of the Manatees - these docile ocean creatures are exquisite and endangered ocean mammals. It's in this aquarium that you can learn more about these fascinating creatures and how environmental efforts can save the lives of these friendly mammals. Before you leave and if you have little ones, there are two attractions that may peek your interest. Salty's Pirate Playground where kids can play on a two level pirate ship (be careful, you're bound to get a bit wet!) or Sharky's Sky Trail - an aerial obstacle course designed to challenge not only one's mind but body! 20% discount on admission for your guest. 20% off to participating Attractions. * Discounted rates on our Animal Encounters programs. *Blackout dates apply. 10% discount on gift shop purchases over $10.00. 10% discount on birthday parties. Discounted rates for camp. To view Miami Seaquarium Regular Admission Tickets, other Specials and Coupons, go to their special page by clicking here. Miami Seaquarium updates this page throughout the year, so check back to see if new specials and coupons have come in. Note to our visitors: Miami Seaquarium Specials and Coupons can change without notice. So please visit their official website to make sure of the latest pricing and coupons.